Given all the whitewashing by a media largely accustomed to carrying scripted pieces by the powers-that-be, the BJP/RSS sponsored PR blitzes & the hagiographies pouring forth about A.B. Vajpayee soon after his passing away, after spending well over a decade in a totally faded out, vegetative state almost, it may be necessary to take a dispassionate, hard-headed look at his tenure as the Prime Minister, India. This piece is an attempt to do so. He was the genial, supposedly accommodating, consensus building ‘mukhauta’ or mask for the hardliners. While he was bogged down with the realities of a coalition government where he needed to seemingly make compromises & forge consensus just for the sake of survival of his ministry, various hardliners like Togadia, Uma Bharati, Modi were given a largely free reign to carry out the unpalatable Hindutva experiments, some of which are described in the attached article linked just below. His regime was characterized by quite a few missteps & disastrous decisions. Foremost among these was the decision to release several hardline terrorists incarcerated in various Indian jails and getting Jaswant Singh to fly them out to Afghanistan & exchange them for a planeload of passengers held hostage by the Taliban. These released terrorists were in the forefront of major terrorist activities against India in the coming years and went on to head organizations like the JeM & LeT. Some of them were involved also in the planning for 911. While Advani, the party chief was all set to become the PM after the BJP’s electoral victory, Vajpayee had to be made the PM by the BJP/RSS because a hardliner like Advani was not acceptable to most coalition partners of the NDA whose support was critical to the survival of Vajpayee’s government. Advani never quite let him forget the favour & given his unshakeable hold over the party then, Vajpayee had to defer to him on several matters as he knew full well that the party was largely with Advani & not with him on these issues. He was quite adept at going with the flow and not upsetting the RSS bosses unduly. Many of his detractors say that he had the spine of a jellyfish. Given below is a more objective obituary of Vajpayee by another veteran journo, Sankarshan Thakur. It is widely known that Vajpayee, at least during the last years of his Prime Ministership, had left governance almost totally to his old buddy and the erstwhile bureaucrat he had appointed as his Principal Secretary and National Security Advisor, Brajesh Mishra. Mishra acted as a gateway to Vajpayee and what he decided on any issue was often the final word on the topic. So much was Vajpayee’s dependence on Mishra that he is said to have rarely read files forwarded to him and would sign on the dotted line after Brajesh Mishra gave him a summary and told him what his recommendation in the matter was. Much is said about Vajpayee’s oratory, particularly in Hindi. During his heydays, Vajpayee’s gift of the gab and his debating and oratorical skills as a parliamentarian were indeed much admired and commended on. Unfortunately, during the later years of his Prime Ministership, his style had become a rather grotesque caricature of what it used to be during his heydays and was the subject of much merriment and stand-up comedy. Most likely due to the onset of dementia, he came across as someone who was finding it difficult to gather his thoughts and talking points and string them together, coherently and convincingly. He would utter a sentence or two during his speeches, pause for far too long while he kept blinking & looking around as if trying to recollect what he was planning to say next and then, after a pause that stretched on for far too long, utter another couple of sentences. The likely onset of dementia was possibly one of the prime reasons for leaving governance matters almost totally to his Principal Secretary during the last years of his Premiership. Vajpayee was always a genial, courteous and civil man who could get along amicably with his colleagues and his political opponents without too many problems. His ability to do so contributed to his presiding successfully over a multi-party coalition for a full-term of five years. When faced with a difficult or a potentially explosive situation, he could defuse it and often disarm his opponents with a quip and with humorous one-liners. His term as the P.M. of India had very little to distinguish it by way of notable achievements and major milestones contributing to the development of India and can largely be considered as an unremarkable one. There’s no doubt that there is a good deal of anger at the ground level, against tax evaders and people who are making merry and enjoying the luxuries of life based on unaccounted funds. This anger & resentment is particularly strong among the salaried classes, wage earners and even the ‘have-not’ sections of society. Given that this anger has built up over many years, it is easy to tap into this and exploit it, using a mixture of tall promises, popular fables built up over the years ( ‘ will bring back all the unaccounted funds parked in Swiss banks & distribute it among the people’), jingoism and hyper-nationalism. I find that the support for this has been coming from sections of NRIs, the salaried classes and wage-earners and of course the bhakts across all sections of society. Some of them, like the NRIs are of course not affected at all. The salaried classes, particularly the urban middle classes are among the least affected immediately as they have recourse to privileged treatments in banks (relationship banking is still active ) and a variety of electronic transfer of funds and transactions which is what I gather the dusted-out and much-hyped term, ‘cashless economy’, refers to . Some of the support is based on brainwashing, deluded thinking and sheer hypocrisy even. For example, I find several folks I definitely know to be dealing in substantial ‘unaccounted funds’ and ‘tax evasions’ routinely as an integral part of their businesses extolling this ‘courageous and radical’ step taken by Modi-ji. They are possibly doing so because a) it is the right thing to say during these times b)they owe their allegiance to the right-wing, conservative, Hindutva proponents who are in power and have taken this step, soon after surgical strikes of a different kind against public enemy no.1, Pakistan. I have little doubt that they have found a way to convert their ‘unaccounted cash funds’ already, using mules who have been apparently costing around 10% and hosts of ‘convertors’ who have seized on this business opportunity and who started doing business initially for 30 – 40% of the amounts put up for conversion and are now operating even at 20% – 25%, owing to heightened competition among their ranks. Shaking up the stocks of ‘unaccounted cash funds’ one-time, which as per every informed estimate is a relatively small percentage of the total ‘black money’ in circulation, achieves little other than mindless populism. The pain, by all informed estimates, far outweighs the gain. Economics is a nuanced and rather complex subject and many experts & analysts have weighed in on the pros & cons of this move and the way it has been implemented so far and the net impacts, almost invariably, are quite negative according to almost all of them. Besides the shock-and-awe to farmers, traders, small businessmen, retailers, daily wage earners and the poorer sections of society is real and very visible even now. If some folks are blinded by ‘bhakti’ and choose not to take cognizance of these realities which does not tie in with their beliefs and ‘bhakti’ that is their problem, and not ours. I am not sure about the political gains & losses of this move either. Leaving aside all other sentiments & political angles, Brexit and the election of Donald Trump in recent times make little or no sense economically, among other things. Yet the proponents of Brexit, Trump and Erdogan have managed to tap into some deep-seated resentments, fear, anger and below-the-surface prejudices and biases even for stunning electoral gains in the short-term at least. Modi’s politics & promises are pretty much in the same vein. There’s heightened consciousness & debate now, particularly after the victory of Donald Trump against all odds, about ‘fake news’ and the need to flag them off as such and curb them. While Facebook, Google and some others are trying to come up with a technology and AI based solution to the problem, no safeguards are possible I suppose against fake promises and lemons sold by ambitious politicians to their base and to large sections of the unsuspecting masses, for votes and for grabbing the levers of power, of course. The hills are alive with the sound of gas escaping! Vroom, vroom! The sight of men on a noisy motorbike, the pillion rider tightly holding on to the waist of the guy in front, was somehow disconcerting. Dad had once explained that they needed to do so for reasons of safety, lest the guy behind gets thrown off while the rider is negotiating those bumpy tracks. While that may be the ostensible reason, the lingering thought about the range of emotions experienced by both men when that hand slipped a little below, inadvertently perhaps, was always unexplainably exciting. Oh hell! Reality always brought one down to earth during these mental interludes of fancy. How could one ignore for long that guy with the strange headgear, irritatedly scratching his crotch at times, in between bouts of picking his teeth, hollering all the while for cutting masala chai and fafda. Dad had made it clear to him, more than once, that customers must be served promptly and on the few occasions that he had failed to do so, immersed as he happened to be in one of his lingering daydreams, a couple of hard spanks, administered on his somewhat misshapen keister, had quickly brought him back to reality. Years later, after he had put his misadventures behind him and had settled down to a life of regurgitating the text that they put in front of him from time to time and made him memorize, he decided to put the fleeting thoughts of his early years to the test. He was pillion riding on Lijet’s new Vespa scooter and when Lijet took a sharp turn, he sensed that this was his moment and let his hand slip down a little lower. Strangely, Lijet didn’t seem to mind at all. In fact, he appeared to be in a trance for sometime afterwards till he stopped in front of a public lavatory, muttered that he was going to be awhile coming back and virtually ran inside. When he finally emerged, after what appeared to be an interminably long time, he had a glazed look in his eyes and a little smile playing on his lips. Soon afterwards, he muttered something about being faithful and loyal always. While what exactly he had in mind wasn’t fully clear then, it became rather evident that day that letting the hand stray a little lower, while hugging from the back or front, helped trigger feelings of loyalty. Lets fast forward a few years down the line to the time when that dynamic leader, Komod, took him under his wings. His many duties, Komod explained, included serving tea, coffee and what Komod referred to as ‘refreshments’, to Komod’s distinguished guests. Once, after Komod had managed to strike a deal he was very keen on, amidst sips of his turbocharged masala chai, he detected that strange look in Komod’s eyes. Later that evening, when he was alone with Komod, he suddenly got a tight hug from him, a pat on the cheeks, a suggestion that he should let his facial hair grow and felt Komod’s hands slowly, deliberately, straying south. They eventually came to rest between his legs and strangely, his mind conjured up visions of Karna ‘doing’ Duryodhana during the Mahabharat era. Afterwards, he went and swore undying loyalty to Komod since that seemed to be the done thing, though as has been the case since his childhood years, he never quite meant what he said and never ever intended to keep a promise. He also decided that day that come what may, he will do whatever it takes to get to the top job one day. Some years later, after Komod had departed this earth under rather gruesome circumstances and his own career plans were humming along nicely, he tried all that Komod had done to him and more on Rasik, who had served him well for some years. Rasik said he was immensely uplifted by the experience and beseeched him to repeat the exercise as often as he wished to. As he had expected, Rasik promptly swore to be faithful and loyal to him for the rest of his life and he decided, that very day, that if he ever made it to the top job, Lijet & Rasik were going to be his A-team. He had no need to look any further afield. a) Physical attributes were important and many international unisex bars forbade people, whose chest did not measure at least 120 cm., from even entering. He decided to play it safe and be at least 10 cm. above that defined threshold. b) Clothes maketh the man and the more the clothes the bigger the man was perceived to be. Again, he decided to take no chances and proceeded to build up a wardrobe which, in terms of quantity, would have made many a viscount blanch with envy. Since this burgeoning wardrobe wasn’t meant to remain in the jumbo-sized closet that he had custom built, he took to changing his clothes at least thrice daily and displaying as many of them publicly as he could, regularly. He did hear whispers about some folks referring to him as a clotheshorse but since horses had always given him that warm feeling down below, he was happy to conclude that he was on the right track. c) His international consultants advised him that it was important to latch onto some buzzwords and make them his very own. These buzzwords were then to be strung up and displayed widely and were to appear in virtually every nook and corner of his territory till the person-in-the-street thought of him whenever they glimpsed these buzzwords and vice versa. Apparently, in marketing parlance, this was known as top-of-the-mind recall. After sleeping on various sets of buzzwords and consulting his mentor, who was known popularly as ‘The Walrus’, he settled on the words ‘focus’ and ‘hocus’ initially. ‘Hocus’ had to be replaced soon though because ‘The Walrus’ severely disapproved of it and even chided him for his choice. After much deliberation and consultation the word ‘shaft’ was chosen instead. Lejit was enthusiastic about this and assured him, given the several nuances of the word, that his choice was a brilliant one. Thus began his exciting journey to the top. More about that, some other time though. I am reminded of the erstwhile CPM MP & Lok Sabha speaker, Somnath Chatterjee, who, as a minister in the late Jyoti Basu’s cabinet, used to brag about signing millions & billions worth of MOUs for industries to be set up in W. Bengal. Unfortunately very little, if any of it, was visible on the ground or ever became a reality. The problem with a lot of reporting in India is that there is little checking & analysis of facts on the ground before commentators and anchors start spewing rhetoric & opinions which, more often than not, are scripted & pre-decided. 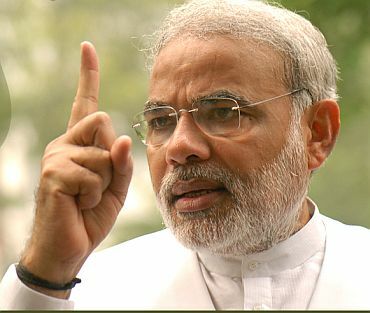 If some of Modi’s ‘facts’ are more like ‘imaginative pieces of fiction’, his biggest project till date has been a failure and despite his claims to the contrary, corruption at every level in the bureaucracy is very much a fact in Gujarat even today (this I know based on first-hand accounts of friends who operate there), then this man is indeed an impostor who has successfully managed to project himself as a ‘doer’ and as a viable alternative for the position of PM of India. Gujarat was never an impoverished state by any stretch of imagination and Gujaratis, who happen to be counted generally among the most enterprising Indians, had always seen to it that their home state happened to be among the top 5 most prosperous Indian states economically. 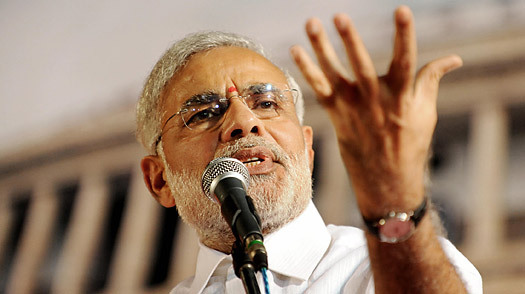 If the UPA loses power after the next general elections, a coalition like the NDA is most likely the alternative. A man with Modi’s megalomania & arrogance will just not be able to function in a coalition where the regional chieftains have a lot of say and wield a lot of power. 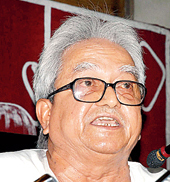 A little bird tells me that Buddhadeb – yes, you’re right, the ex-CM of Paschimbanga and a stalwart of the CPM – is in agony these days and needs some quick relief. Now Buddho, as his cronies, party comrades & well-wishers refer to him, is an endearing sort of chap. He is an honest, unisexual homo sapien, who traces his lineage to the poet Jibanananda. He even had literary pretensions and penned several dramas which were completely plagiarized from obscure East European, Russian & even Chinese works and which, fittingly, failed to find either readers or an audience when put up as a play. The first night, almost inevitably, became the last night. But failures are the pillar of success and while Buddho’s literary ambitions were pretty much stillborn, he still achieved great success by becoming the C.M. of W. Bengal and serving out a decade in that position. Getting there wasn’t easy, as it involved sucking up to a double-agent like P.K. Madhavan (known to the hoi polloi as Karat for some reason) and bending low before his one-time mentor & subsequent bete-noire, the formidable Jyoti Basu. Now, for a good cause, what’s a few compromises here & there and a few shortcuts as well. Buddho’s decade in power is now definitely known as the lost decade for W. Bengal. Buddho remains unfazed because he possibly knows, in his heart-of-hearts, that his illustrious predecessor was the major contributor to at least two lost decades for the state, so adding one to the count shouldn’t make much of a difference anyway. But I digress. Buddho’s soulmate, sounding-board and occasional guide during this decade was a specimen known as Biman generally. This creature, who can trace his lineage to levels couple of notches below the Homo Erectus in the Darwinian totem-pole of evolution, ran the local branch of the thuggery, generally known as the CPM Alimuddin Street office while Buddho literally fumed, fretted, postured and polluted in very many other ways, that sanctum sanctorum of local administration in W. Bengal, Writers’ Building. Towards the end of his unmentionable reign, Buddho increasingly felt his crown jewels bunching up with tension. 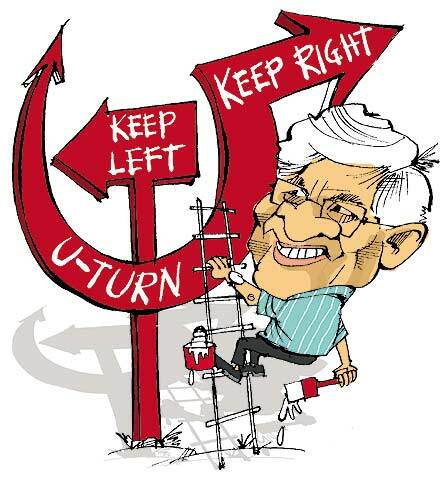 The carefully built-up citadel of the CPM was crumbling all around him and both his mentor, Madhavan and his soulmate, Biman, seemed to have little or no idea about how to stem the rot. It was during one of these tete-a-tetes at Alimuddin Street that he finally confessed to Biman about how his crown jewels felt diminished and missing even and Biman assured him that he just had the answer to his problem. What transpired subsequently within the confines of Alimuddin Street is not too well known. Neither can one speculate at length on what may have happened since this is a family blog. All that can be said is that by the time the citadel finally crumbled and fell away altogether, Buddho was in dire need of a colon cleansing because there were things that were stuck way up his nether region where the sun has no hope of shining ever. What exactly was the object that was firmly lodged up there is not too well known either, though popular rumour has it that it possibly was one of Buddho’s cojones, manoeuvred into place by the member of the senior comrade who also served as his soulmate. No one, least of all this writer, can vouch for the veracity of these rumours. All that one can confirm is that while the colon cleansing could have proved cathartic for this troubled and pained soul, it is yet to take place. Every passing day is increasingly agonizing and since sitting for any length of time can be sheer torture, Buddho, who spent half a lifetime occupying various chairs and plotting how to occupy others, is found to be increasingly on his feet these days. The Rupert Murdoch owned WSJ recently came out with an article alleging that Google had been violating the privacy of millions of users using Apple’s browser, Safari. The full article can be read here. Even before the dust had settled on this one, Microsoft came out swinging, alleging that Google may have been doing the same for their browser, Internet Explorer also. Dean Hachamovitch, Corporate VP, IE, came out with this blog post. For a start, no, they didn’t violate privacy law. None of what they did has any effect for users that do not opt in for the cross domain services, which require cookies to operate – which is what this is all about. The cookies expire in 24 hours or when the browser is closed. The cookies contain no personal identifiable data, nothing more than an authentication state and a session ID. So let’s stop with the whole “privacy abuse” thing. Let’s also stop with the whole “tracking me” thing, a 24 hour/session cookie cannot be used for any kind of effective tracking – which was never the intent. The only browser in the world that still cares about P3P policies is IE. Every other browser manufacturer dropped support for this years ago. It’s buggy, badly designed, poorly implemented, and does nothing to provide actual privacy protection but like “affiliate signing” allows sites to lie about the purposes of cookies and to bypass your regular cookie settings and get special treatment. No one uses P3P except where you need cross domain services and you need to support IE6 with them (since literally, it’s pretty much the only way to get IE6 to consistently store cookies when working cross domain). Google services give IE a compact P3P policy header which tells the browser to ignore P3P settings for cookie restriction. This lets Google do cross domain services on Microsoft’s broken and bug ridden browser suite. If Google didn’t do this you would not be able to use cross domain G+ services without lowering your overall privacy setting or adding a cookie rule exception for every service. IE – as the only browser that implements P3P – is the only browser that requires a doctored P3P policy to do this. Even Facebook does exactly the same thing! Now if you want to talk Safari, it’s the same situation – only there isn’t even the option to use a P3P policy. Safari’s cookie settings are a joke and a usability/privacy protection nightmare. Do you know that Facebook does EXACTLY the same thing so that people can “Like” other sites? The only real difference is that for Google you OPT-IN to having these features on, whereas Facebook just does it anyway. So you want to know exactly what data they collected? NONE. Because they weren’t trying to collect data. They were trying to establish a cross domain authentication check so when you like something on the web it registers on your profile. That’s it. No big conspiracy theory. No stealing of the datas. No rifling your private information and transferring it behind your back. Simply working with broken browser implementations to accomplish what the USER actually ASKED them to do. At what point does one conflate security and privacy? The two are entirely separate and dealt with by entirely separate bodies of law. P3P is not a security technology, it is not even a privacy technology. Did you know that no browser other than IE implements support for P3P and that it was actively removed from Mozilla, and never added to Opera, Chrome, Firefox, or Safari (no Safari does not support P3P either). In fact, it’s been recognized as a bad, privacy breaking technology since IE6 first debuted support and broke a slew of web-sites. EPIC calls it “Pretty Poor Policy” ; that’s right the Electronic Privacy Information Centre calls it a really bad policy. Do you know what it is and why it was invented? It’s a technology that inverts the “trusted network” paradigm to allow affiliate advertises for Microsoft’s networks to place cookies on your computer for tracking purposes even though you’ve disabled 3rd party cookies as a general rule. That’s why it was invented, and why it was implemented in IE. The same reason Microsoft gave priority passage to your inbox for spam email from their marketing affiliates in Hotmail. A cookie is not a program that uploads datas on you, it is not like Path transmitting your entire iPhone address book to remote servers without your knowledge and beyond your control. It’s a text file. It contains text. It usually contains less than 50 characters of text. It’s used to persist information on your computer, not take it away. For instance, it allows application developers to record the fact that you are logged in, and an id to reference your session, which is what Google uses it for. This is necessary because HTTP itself is what we call a “stateless” protocol. It has no memory between requests. To get around this and make applications, developers use a server side construct called a ‘session’ that acts as a bag to hold information in between requests. The ‘bags’ are labelled with securely (on good implementations) generated IDs, so they can be told apart. Only, because HTTP itself is stateless, the server cannot tell which ‘bag’ is yours, it needs to know your ID. The HTTP protocol provides a mechanism to send a cookie with each request, and developers store the needed ID in just such a cookie. When the server receives it, it can identify your bag. Bingo, session-based activities are now possible such as playing games, shopping with a shopping cart and so on. There is only one problem though. The security implementation around cookies to prevent people stealing them and using them for impersonation and session hijacking (getting access to your ‘bag’) means that only cookies from the same server you are visiting can be read and written. This throws a spanner in the works when two services hosted on different domains need to work together. The server you are accessing gets what is called “first party” permissions. It can read and write cookies at will provided you don’t have cookies disabled completely. The second server though cannot write cookies unless you allow third party cookies in your browser settings. Without that permission, the script that runs on the page that provides Facebook’s ‘Like’ button let’s Facebook know that you liked the page. Without that, they can’t update their opengraph records without which they can’t tell Facebook who you are when you click that link. Nothing Google has done has stolen or has the potential to steal any information from you. Do YOU have “allow me to +1 sites on the Internet” turned on in your G+ profile (it’s off by default)? This may be a bad option if you believe that cookie restriction is a measure for enhancing privacy? 2. You open a new frame and send the information you need directly to your own server. Since you are first party where your own server is concerned, this is how it is INTENDED to work. Google can still only read Google’s own cookies containing nothing but what Google wrote there. Google didn’t break anything in the HTTP protocol or any standard to do this. So why the concern over tracking? Because people don’t understand how this works. If you have 3rd party cookies turned off in Safari you should not have any other Google cookies, so nothing extra would have been sent. The only way you could even have sent your Ad Sense cookie ID is if you had one to start with. And even if you did, and it did get sent, the code that handles the G+ +1 action would not have the slightest interest in it, and would simply discard it. Ad Sense IDs are only any use to the Ad Sense network. And even if it made it as far as the Ad Sense network, it contributes no information because there is no page view information associated with it. So nothing was stolen, you were not violated, your privacy was not breached. Google simply changed the way they did something to comply with the browser security requirements. Not doing so, and requiring users to disable all cookie protection to Like or +1 or do any of the plethora of cross domain activities you do without even realizing it when you utilise any of the most popular web applications, would be the only real wrong that could have been perpetrated here. Here’s a simpler, easier-to-understand explanation for what has been stated above. Safari as a browser isn’t buggy. However their policy choices are flawed and specifically bad from a security and privacy standpoint. Someone compared this ‘intrusion’ to a burglar entering your home because he finds the lock to your front door broken. This is a flawed analogy. P3P is optional, and is something the web server elects to participate in or not as the case may be. Very few do at all. However, this isn’t at all like entering someone’s home and making away with his stuff. It’s more akin to someone coming to my business and saying “Hello, yes, I’d like to make use of your custom service”. I say “Sure, just sign here, okay, I’ll give you a special ID card that will enable you to access the service, but you’ll need to show it to the agent who will be doing the work for you so that he knows you are authorized for it.” Only, your wallet is shut and latched in such a way that you can’t actually add cards to it, so you have to go to Microsoft and have them add the card for you. Being helpful, I am giving you a new card and putting it in your shirt pocket for you and reminding you to show it to the agent whenever you ask for the service. For Safari it’s slightly different. The lock on your wallet is enchanted so that you can only put and take out ID cards for the address you are currently standing at. You don’t have any control over the wallet except to bust the lock on it and let any and all cards be put in by everyone. So, instead I say “Tell you what, instead of putting the card in your wallet, I’ll make an exception and when you get there just give me a call and I’ll give the number to the agent over the phone, and he can write it on a card for you there and then. Why do you think the WSJ & Microsoft launched on the finger-pointings and the muttered accusations? I am sure you would be able to come up with a couple of good guesses at least. This blog piece really supplements the points made in this article (link above ). The points below are essentially to further amplify and expand on the contentions in this piece. Early adopters will recall Facebook as a rickety, buggy apps which had very few people who had gotten on to the bandwagon and a whole lot more of bugs together with a generally pretty crappy UI. While after the dot.com bust at the beginning of this century, clueless commentators & hapless analysts have been desperate to hype any emerging trend to the skies, Facebook progressed & grew beyond its wildest dreams more because it happened to be in the right place at the right time & owing to the many errors of omission & commission by its forerunners & contemporaries. All through this spectacular growth story, Facebook kept on playing fast & footloose with the privacy & the needs of some of its serious users. It kept on playing around with its UI, which, despite several makeover attempts, remained crappy & reminded many people of Web 0.5 rather than Web 2.0. It was a hacker’s delight and it put up a brave front every time someone demonstrated the relative ease with which it could be hacked into. It kept on experimenting with the length of texts for posts & comments for posts without so much as a by-your-leave or even a warning to most unsuspecting users. It merrily downgraded photographs uploaded for display, a fact unknown to most of the hordes for whom uploading to Facebook pics of your latest vacation or your dog became a status symbol of sorts. While Facebook has of late been demonstrating a zeal for real names (because Google+ is a real name network from the time the beta was launched? ) for much of its existence, it didn’t give a damn about who registered on the network, beyond the cursory reminder that pre-teens were not allowed. I know of several people who promptly proceeded to have Facebook accounts for their dogs & cats & even proudly proclaimed the ‘fact’ to their friends. Many others opened multiple accounts on Facebook, under a host of pseudonyms & assumed names and let their ‘special’ friends know which account they used for which purpose (for a hint think Farmville & Cityville and the need to conceal from a certain ‘set’ of friends the fact that one was incurably addicted to it). In any case Facebook didn’t care two hoots about what got on to your Stream from numerous Farmville posts for example, auto-generated when your friends got on to it. Messages & pokes from perfect strangers followed the same pattern. Anybody could write anything on your wall or read your comments to others’ posts in many cases, without you either knowing or being able to do anything about it. Your friends could add you on to any groups they happened to be a part of, without bothering to think whether you may actually be reluctant or unwilling to join a particular group they happen to be part of. When serious users & geeks raised howls of protest about this, Facebook embarked on the first of its many hamhanded attempts to appease the unhappy & outraged users & introduce controls for users’ accounts & privacy. At times deliberately and, on other occasions, unintentionally, patching & taking care of a particular area of concern seemed to open up new cracks & areas of unhappiness. Amidst all this, Facebook’s numbers kept growing because for the vast majority of people, privacy, security or poor user UIs & unannounced, ad-hoc restrictions mattered little. Aside from registering one’s dog & cat, it became an online rolodex for many and once its numbers grew beyond a certain threshold, peer pressure ensured that most people felt compelled to open an account on Facebook at least to prove to their friends that they weren’t anti-social in the least and kept themselves abreast of new developments in this ‘digital age’. Some proceeded to ‘befriend’ just about any Johnny who could be found on FB & was willing to be added, thus growing their no. of friends relatively quickly into the high 3-digits category, assuming that this fact alone gave them some kind of a bragging right over their friends whose ‘friend counts’ were nowhere near that. If you have seen posts or comments from anything more than 10% – 15% of your ‘friends’ on Facebook, you must belong to an exceptional minority indeed! Facebook has from time to time quoted the total no. of people who have registered. Information regarding what percentage or numbers out of these have been dormant and for how long, hasn’t been forthcoming. Whereas e-mail clients knock off users who haven’t had any activity on their account for say 6 months or one year, Facebook never ever knocks off anyone and makes it virtually impossible for anyone to leave even if he or she wants to. It has always been designed to be a one-way street. There are many who suffered through all the twists & turns of a badly designed & executed app like Facebook simply because by the time they decided it was decidedly crappy and were planning to leave, most of their ‘friends’ had gotten on to it. Added to it was the fact that it was the most visible and high-profile social media platform in most parts of the world and hence there was peer pressure to at least stay on nominally, irrespective of whether one liked or hated the experience. Along the way of course there were the added attractions of games, pages for organizations & businesses and e-commerce among others. Facebook also managed its marketing & media efforts quite well, aside from the misfortune of getting caught out in its efforts to deliberately and, in a sustained way, slander Google. To use an analogy which will be quite understandable to Indian readers, you don’t start with an Ambassador car and then try to make it into a Honda City say, by periodically tinkering with the carburretor, steering wheel or spark plugs. Despite any tweaks to these subsystems the overall experience would still remain a distinctly unsatisfactory one. Of course from time to time groups of people just switched off & turned to various alternatives and though that outflow has gotten stronger in recent months, overall, it didn’t really matter much. There were always newer markets to conquer & newer people to sucker and, as a result, the total numbers kept growing, albeit at a much slower pace than what had been experienced sometime earlier. All through this process, Facebook copied bits & pieces from here & there and then once it grew big and attracted major funds, went on a spree acquiring smaller, promising start-ups. It kept tweaking privacy settings, UIs & groups but never ever came up with the big idea or a really innovative one. Copying others has always been its forte which was amply evident when it revamped Groups and made it as close as possible to popular e-groups which had been in existence for ages, with a few more bells & whistles added. Ergo, its desperate strategy of copying Google+ & Twitter now & remaining relevant & hopefully ahead in the race is nothing surprising. Given its near-total bankruptcy of big ideas & innovative ones, one would in fact have been quite surprised if it hadn’t done so. In doing so however it has given short shrift to much of its loyal user base. Most of Facebook’s active users aren’t too bothered about privacy & possibly quite like the idea of broadcasting to the world what they had that morning for breakfast and taking a peek at comments made by their ‘friends’ for posts which should not concern them normally. Much like Twitter, Facebook possibly owed its growth & success to the fact that it managed to adhere largely to the KISS (Keep It Simple & Stupid ) principle which would have been comforting to most of its users. It had a great opportunity to distinguish itself from johnnies-come-lately like Google+ which quite a few people might find somewhat complicated & confusing to test-drive & muster. Alas, in its desperation, it is trying its best to become another Google+ by churning out poor versions & pale imitations of G+’s major features without realizing that, in the medium & long-term, it can’t win the battle with Google because Google, in addition to being the big honchos of Search, has its fingers in over half -a-dozen apps like YouTube, Picasa, Documents, Reader, Calendar, Talk & Maps, in addition to having control over cloud computing, browsers, operating systems & even mobile hardware companies now. And, end of the day, content and its easy shareability & deliverability rules above all else, doesn’t it? Jerry Yang and his co-founders were the Internet big honchos in the late 90s, having their fingers in everything from Searches to E-mails, E-groups, News portals & Blogs among others. It took less than a decade for it to be reduced to the status of an also-ran in virtually each of these areas. 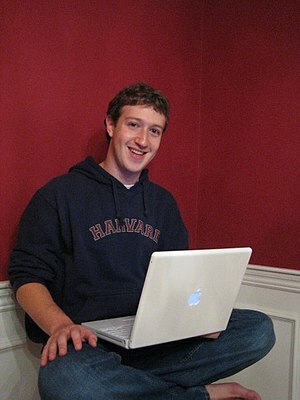 Given the fact that upward spiral & downward plunge cycles have gotten shorter in the Internet era, one finds it hard to visualize Facebook & Zuckerberg five years from now as anything other than an also-ran, still bent on mindlessly copying from the newer games in town what they perceive as ‘killer-features’, to regain lost glory. Didn’t someone tell them that mere imitation is not only the best form of flattery but also the first big steps towards ceding a position of leadership? 1. Facebook now allows you to choose from among lists. Unlike g+ though which allows you to select one or more circles, just an individual even or all circles, extended circles & public, Facebook gives you the choice of choosing a particular list, a predefined category like Friends or Public generally which is far more restrictive in addition to not being intuitive at all. Facebook appears to be forming Smart-lists of friends by primarily selecting those among your friends who post or comment much more frequently than others. Sadly, this can hardly be the basis for your default choice of ‘good friends’. While one can manage & tweak the list as desired, the default option seems downright hazardous. Remember when Buzz tried to do something similar and it blew up in their face (possibly helped along by Facebook, its media managers & ‘friendly’ blogs & publications). Facebook now lets you follow folks who opt to be Subscribed to. How is that any different from Pages that one may have elected to follow earlier? Extending the page functionality to individuals & making it an opt-in feature can hardly be called a major innovation or upgrade, isn’t it? You are currently browsing the archives for the Social Comment category.